treatment for TV documentary series: 20 x 26 min. 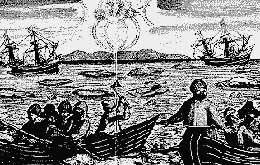 It is the third Dutch expedition that set out on the voyage in spring 1596 from Amsterdam to the North with the aim to discover the North-East Passage and the sae passage to Asia, exactly China. 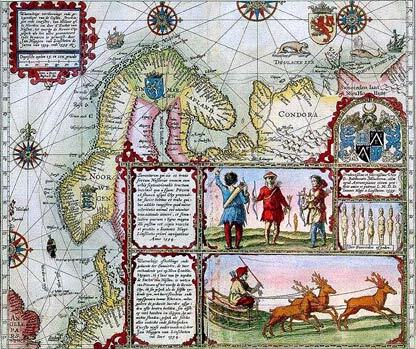 Both previous attempts were not successful but due to the increasing expanse of the Dutch trade, the idea to search for the passage is considered to be so necessary that this new exploration is again financially supported by local merchants. 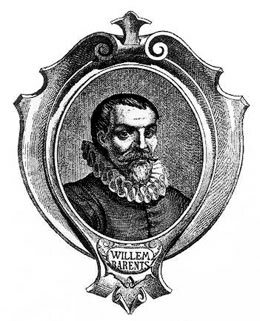 The expedition with two boats were again under the command of a cartographer Willem Barents. 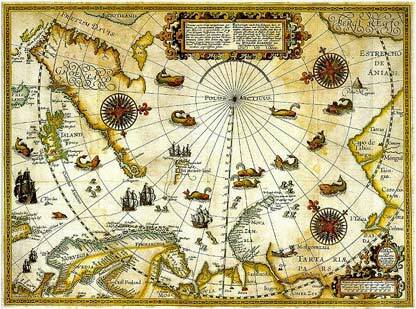 Having imperfect maps of the time they intended to follow the northern route via the North Pole. 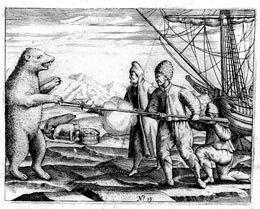 The expedition discovered The Bear Island and islands that they called Spitsbergen, because of narrow pointed mountains. 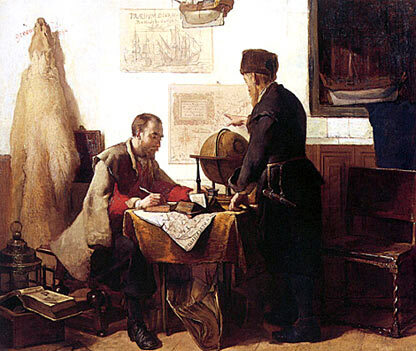 They measured the sea-depth and wrote down results of meteorological observation. 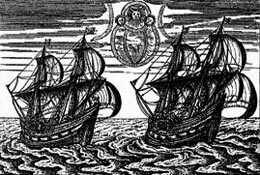 At the Bear Island the two boats separated and the captains (the captain of the other ship was Corneliusz Rijp) decided to try different routes. 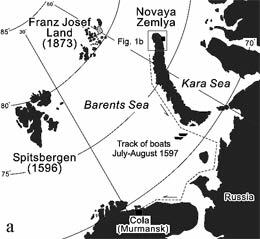 The ship with Barents reached Ice Cape at Novaya Zemlya. None has ever before reached that far north. 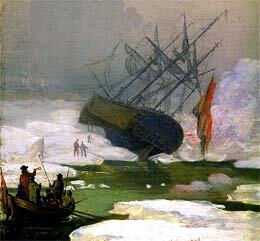 But here the ship was completely stuck in the ice and under the pressure it started to burst at the seams and was lifted up by the ice . It became clear that the ship would not get free before the next spring. 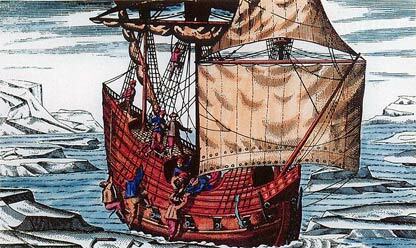 Barents and his crew had to be prepared for the coming severe winter. 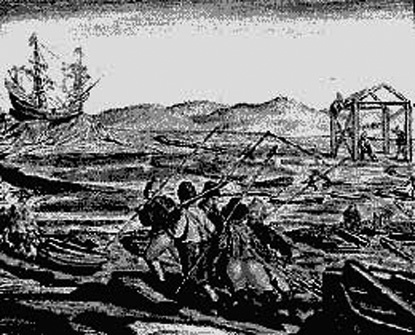 The men soon started to build a house from driftwood and some parts of the ship. 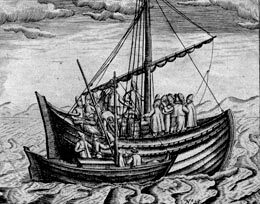 Before the construction of the house was completed, the ship’s carpenter died. 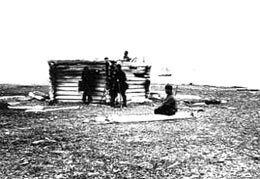 The crew moved from the ship into „The Barentsz House„. 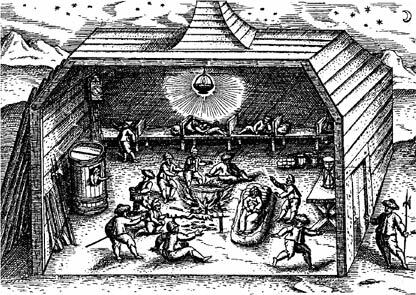 The polar night started and as in 16.century the average temperature in this area was much lower than today, it was extremely cold there. Collected firewood was used up after only a short time . The outside temperature was so low that only sometimes it was possible to go out on a search for wood. Meat from foxes caught in special fox traps was welcome addition to the menu. 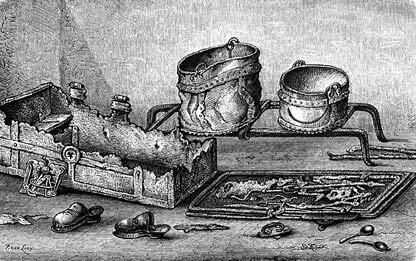 The fat of the killed polar bears was used as fuel for the oil lamp giving a slight shine to the house where everybody was awaiting the spring. 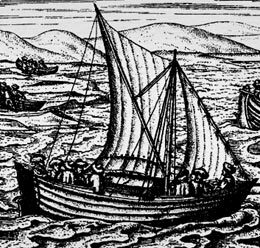 Even if they did not want to eat bear meat that could be poisoned, scurvy had spread. Barents became ill as well. Two sailors were killed by a polar bear that started to eat them before the other could come to help. In February the next year sunshine shortly appeared at the horizon and brought a small hope to desperate Dutch. 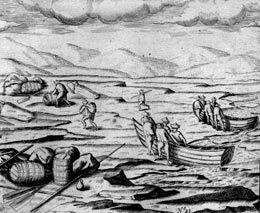 The expedition prepared two small boats from wood, they had found from their ship, and with the help of them they assumed to survive. Barents left his notes in the chimney ( fire place ) as well as his message was left on the table near by the book „Marco Polo„ for whomever would find it. 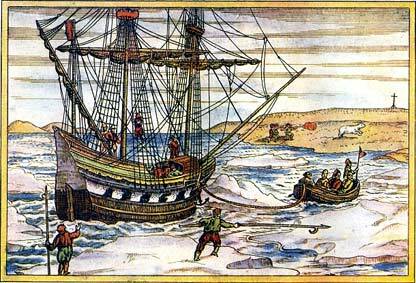 They were prepared for the voyage to the south, around Novaya Zemlya coast, to the north of Russia. The way back was very difficult and so they proceeded only slowly. Barents and two other sailors died. Finally, after two months hungry survivors met Russian fishermen, from whom they bought some food. 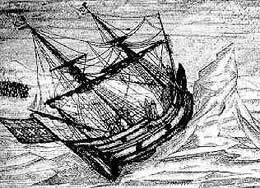 With their help they arrived at Kola where they met the other ship (J.C.Rijp) of the expedition. 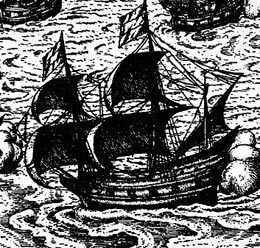 In autumn only twelve survivors returned to Amsterdam. 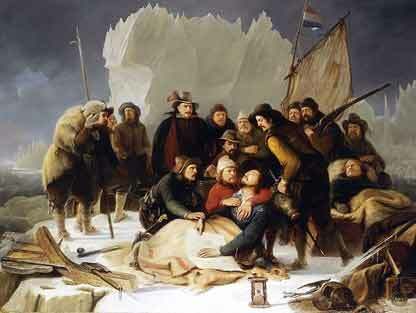 In 1871 a Norwegian seal hunter led by captain Carlsen found the remains of Barents’ House. According to his description the house with its size 10 by 6,2 meter, was not too much destroyed. 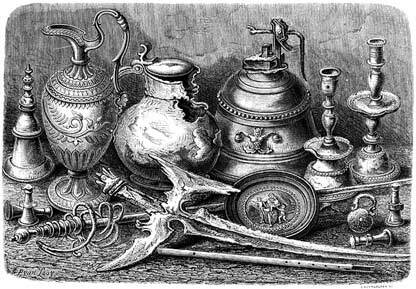 Many objects were found including the Barents’ journal describing the expedition. 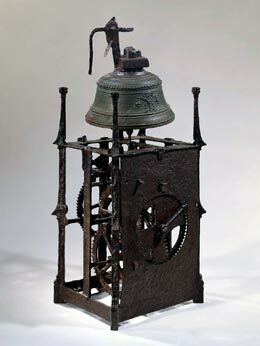 The book was found as well and there was a clock still on the wall there. 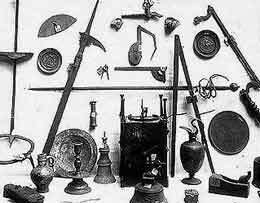 Some other subjects were found also in 1933. 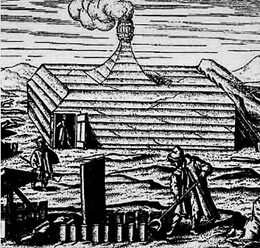 The remains of the fire place and a large amount of wooden fragments still could be found in the rectangle formed by the four beams. That was all what was left of the house, where centuries ago the first Europeans wintered so far north. 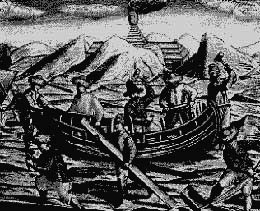 None from later expeditions succeeded in founding Barentsz‘ grave and remains of his ship.